You Are What You Love - Missing a loved one? Psychic medium, Chuck Bergman is here! The best psychic medium is in the House, Chuck Bergman! Bergman, psychic medium, speaks to dead people. He is also a retire motorcycle cop (ladies he looks great in a uniform) and author The psychic Cop Chuck has appeared on numerous television and radio programs showcasing his unique talents and skills. Vaishali is a spiritual teacher and life-management expert. 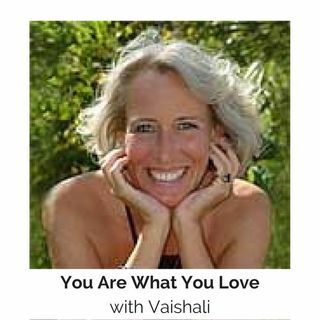 Vaishali is opening the phone lines to take your questions about your life purpose, relationships, career opportunities and every ... See More thing in between. The lines are open and the wild woman of spirituality is in the house! Call-in at (844) 390-8255. You can check Chuck out at or make an appt at: www.ChuckBergman.com. For more information about and Vaishali visit her websites at: www.PurpleV.com.